Consider that a human hair is anywhere from 60,000 to 80,000 nanometers in size. A plasmonic nanoparticle, which is a nanoparticle made of noble metals like gold and silver, at their largest are just 100 nanometers, but pack a big punch. These nanoparticles have a special property that allows them to absorb light at 10 times their size and at the University of Notre Dame’s new McCourtney Hall a researcher is exploring how they can be used to improve the efficiency of solar cells as well as for detecting radioactive elements. 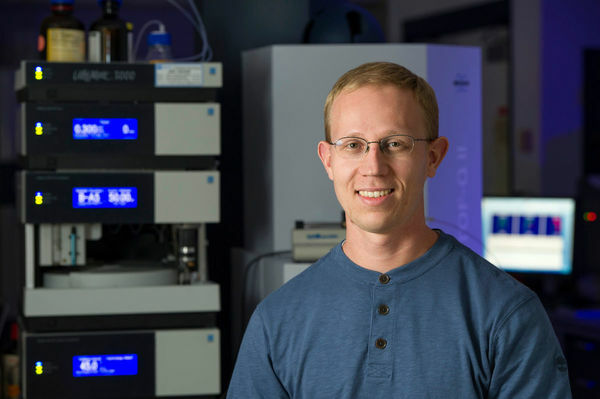 One of the areas that Jon Camden, associate professor of chemistry and biochemistry and affiliated faculty member of ND Energy and Advanced Diagnostics and Therapeutics, is researching is how to harness the sun’s heat absorbed by the nanoparticles and conduct it to create energy. Currently, solar cells absorb the sun’s light based on their size and then the light is converted into energy. However, plasmonic nanoparticles have a significant capability to absorb light, but it is still unknown how to harness the light being absorbed and then conduct it into usable energy. In addition, Camden’s group has also designed methods of analysis that use plasmonic nanoparticles to detect actinides – radioactive elements – like neptunium, plutonium, uranium, and more. These methods are beneficial for nuclear forensics as they can quickly identify different element samples without needing to bring them to a lab. Camden is a resident of the newly opened McCourtney Hall, a 220,000 square foot building dedicated to research in the molecular sciences and engineering. 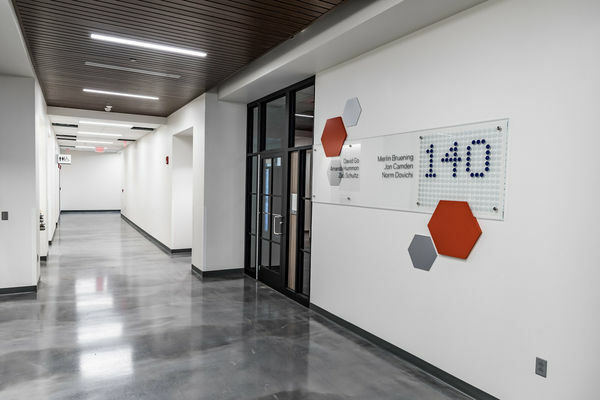 Researchers from two colleges – engineering and science – have joined forces in the state-of-the-art building to tackle three key programmatic areas: analytical sciences and engineering, chemical and biomolecular engineering, and drug discovery. From brain injuries to clean water, cancer treatment to sustainable energy and climate change, researchers within McCourtney Hall are working to discover new technologies in the face of the world’s grand challenges and to advance Notre Dame’s mission to be a powerful means for doing good in the world. Learn more about Jon Camden and his research. Originally published by Brandi Klingerman at research.nd.edu on August 30, 2016.